I recently wrote an article with my colleague Dr Robyn Huttenmeister for the Medical Observer on common gynaecological surgical complications and how to diagnose and manage them. As health care professionals, favourable health outcomes are our foremost and primary aim. Unfortunately, sometimes things don’t go to plan and adverse events develop. World-wide, hundreds of thousands O&G specialists regularly perform surgical interventions and we can estimate that approximately 10% of all patients will develop at least one adverse event after surgery. As O&G specialists we not only need to recognise complications but also need to be familiar how to manage them. If we fail to do so, adverse events can escalate and may become serious, causing even greater harm. The article outlines symptoms or red flags to look out for after surgery. Postoperative symptoms may be part of the normal recovery or point to a possible adverse event. Most are minor and can be managed through the GP. Increasing pain is always concerning. Could it be because the patient has discontinued her pain meds? Nausea is one of the common reasons for patients to stop taking their pain killers. Sometimes patients stop taking pain killers only to re-present to the emergency department for pain. On the other hand, patients who have taken pain killers regularly and whose pain worsen need to be investigated. Different infections are one of the most common reasons and need to be excluded. Urinary tract infections often present with nausea and low grade temperatures. On other occasions I have patents readmitted for constipation. Patients sometimes underestimate the constipative effect of analgesics. Especially, patients who suffer from pre-existing constipation are at risk. Vomiting with constipation needs urgent assessment including a CT scan. Pain after major gynaecological surgery may also point to the possibility of rare surgical complications. Viscus perforation may develop immediately after surgery or delayed and medical imaging would show free air in the abdomen. Flank pain may indicate an injury to the renal collecting system; a contrast CT needs to exclude a bladder or ureteric injury. Postoperatively patients may develop a bowel obstruction or an ileus, which will require admission. A pelvic fluid collection may need to be drained radiologically or laparoscopically. Postoperative haematomas are almost never drainable. In the majority of patients, I prevent an infection with antibiotics and follow up conservatively. In the article we discuss which of the above symptoms warrant further investigations without delay, and what complication they are presenting or can lead to. We discuss the normal surgical recovery, as well as minor and major deviations from normal. Most complications are minor and can be managed through the GP. However, a few complications may be life-threatening or may become life threatening if not attended to promptly and will require surgical input. The majority of life-threatening adverse events will manifest within the first week after surgery. Information in the article is provided regarding patients who can be managed by the GP as opposed to those who require referral to their surgeon. We put emphasis on the important work GPs provide especially in rural and remote areas. We provide tips for GPs on remote patients who travel a vast distance from the home to the specialist. Patients from rural and remote areas pose additional challenges. As specialists we provide information about the ‘Dos and Don’ts’ after surgery and we have this information available on our website also. We ask patients from rural and remote areas to stay in town for a few days after surgery. 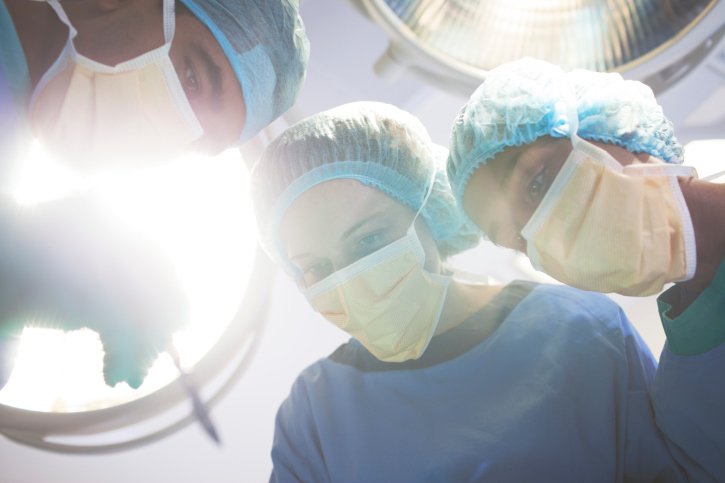 The most serious adverse events may manifest within the first week after surgery. If patients are still in town, we are able to intervene promptly and limit the damage of a complication. We phone all our patients a few days post-surgery. We check vital organ functions and can direct patients to further investigations if needed. Finally, we record all our patients’ clinical outcomes using SurgicalPerformance.com. If complications develop I not only want to know how to manage them properly but I also want to know if the incidence of my complications is within the expected. All gynaecological surgeons should take part in audit activities to learn about their own clinical outcomes. Having this information available will enhance the conversation with the patient regarding what to expect from surgery.